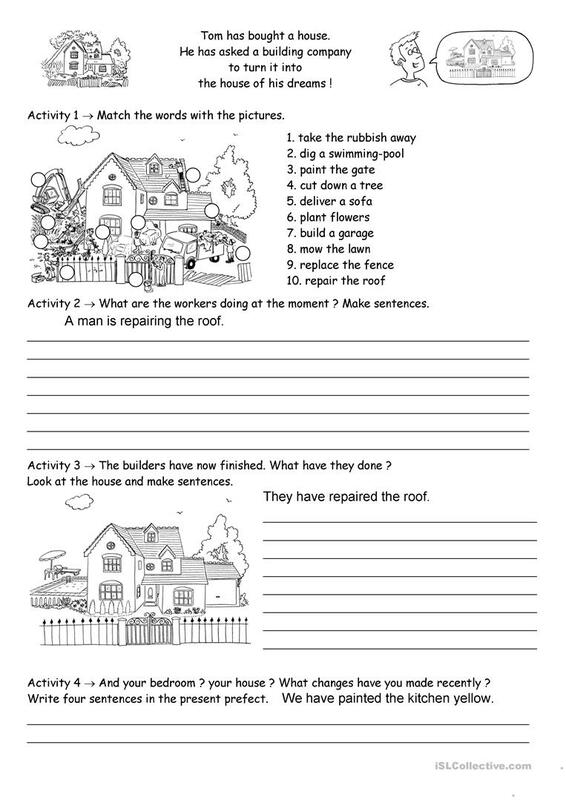 In this worksheet present perfect is used to express the idea of completion or achievement. The topic is a dream house. There are four activities, the first one is for the vocabulary,then students have to describe a picture, after that they have to write present perfect sentences. Finally students are asked to write or talk about changes in their own houses. This downloadable teaching material is meant for high school students, adults and students with special educational needs, learning difficulties, e.g. dyslexia at Pre-intermediate (A2), Intermediate (B1) and Upper-intermediate (B2) level. It is great for practising Present perfect tenses in English, and is excellent for honing your class' Speaking, Reading and Writing skills.